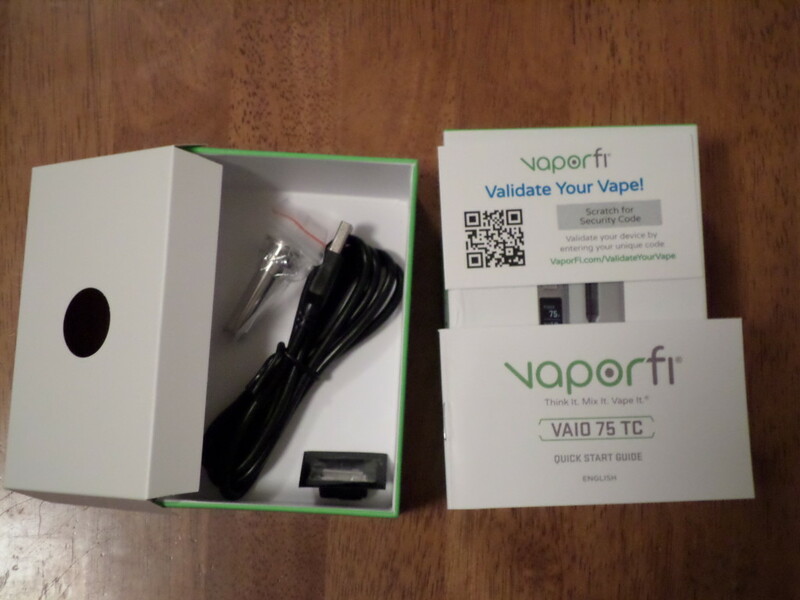 The VaporFi VAIO 75 TC is now officially available and is part of VaporFi’s late-2016 hardware push, which has already seen a bunch of new tanks – tanks like the VaporFi VIBE – and mods. 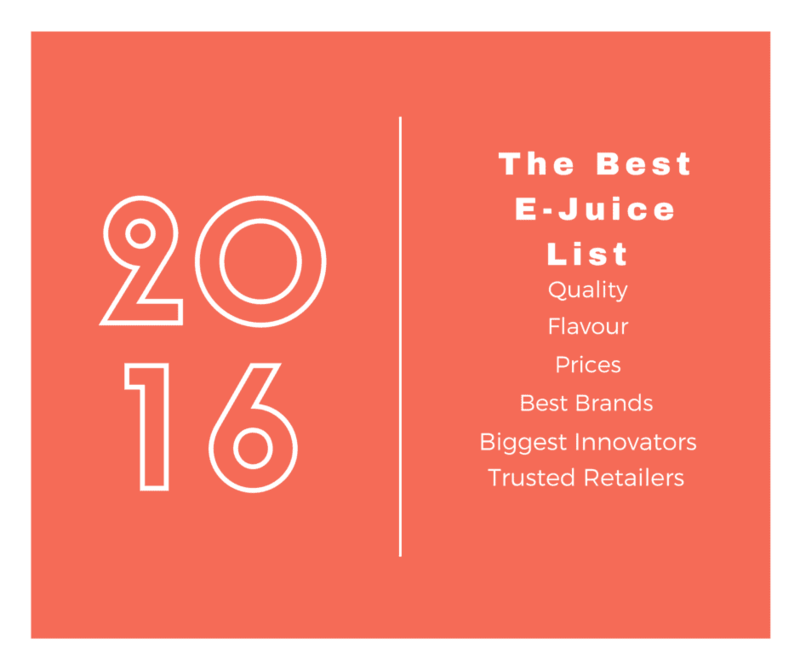 They also have some new, tasty E-Juices as well. 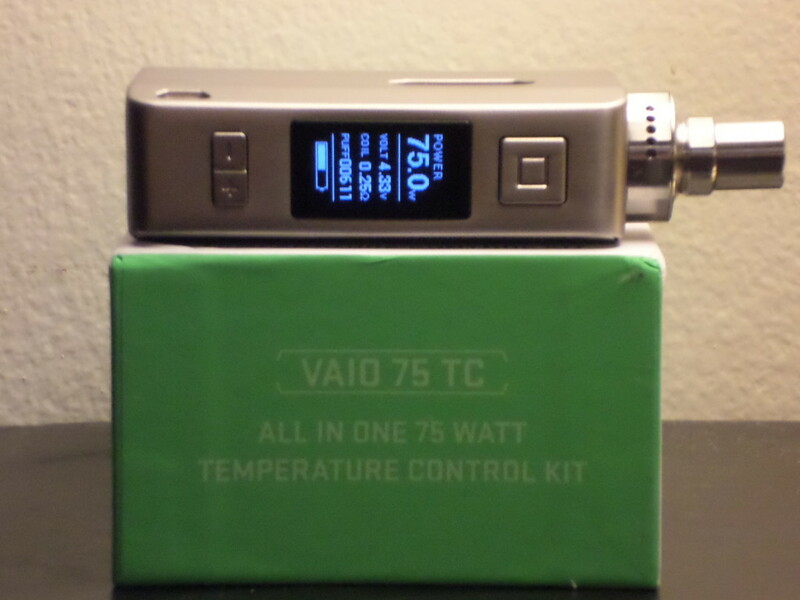 The focus here, however, is the VaporFi VAIO, a 75W, all in one, TC mod. And what a device it is! As usual, you’re presented with great, precision-engineered design, eye-catching looks and a rather familiar name — Sony used to have a line of laptops branded-up as VAIO. 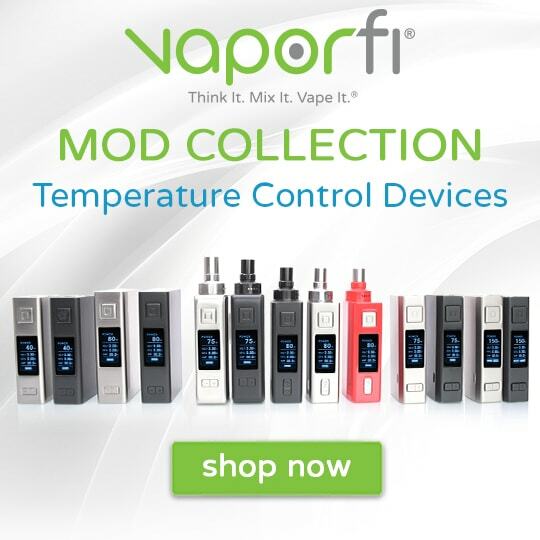 For those of you that are not familiar with VaporFi they have been around for a really long time, since the beginning of vaping, really. 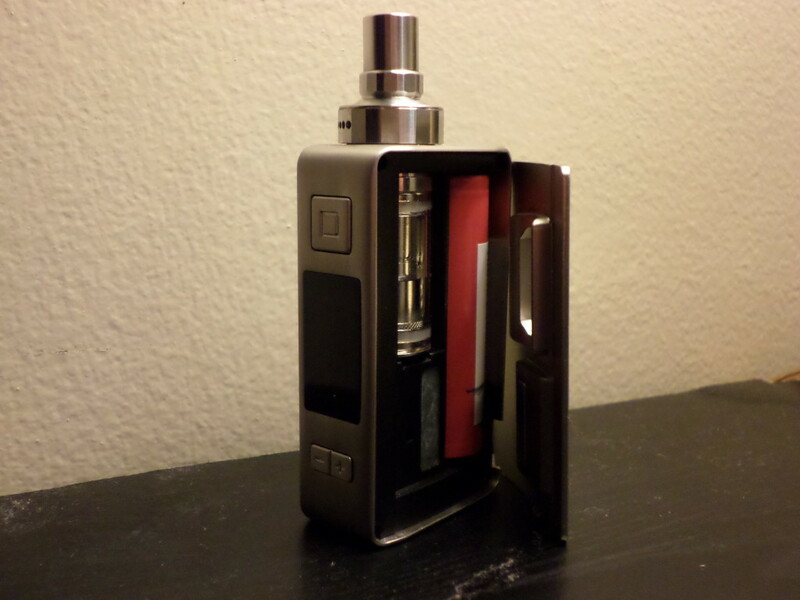 Like Apple, they make and control all their own gear and hardware, including tanks, starter kits and E-Juice. Really good E-Juice. But the new VaporFi VAIO, well… it just seems a little special. I’ve been aching to test it ever since I first caught wind of it a few months back. Since then I’ve been counting down the days until I could get my hands on a review unit. 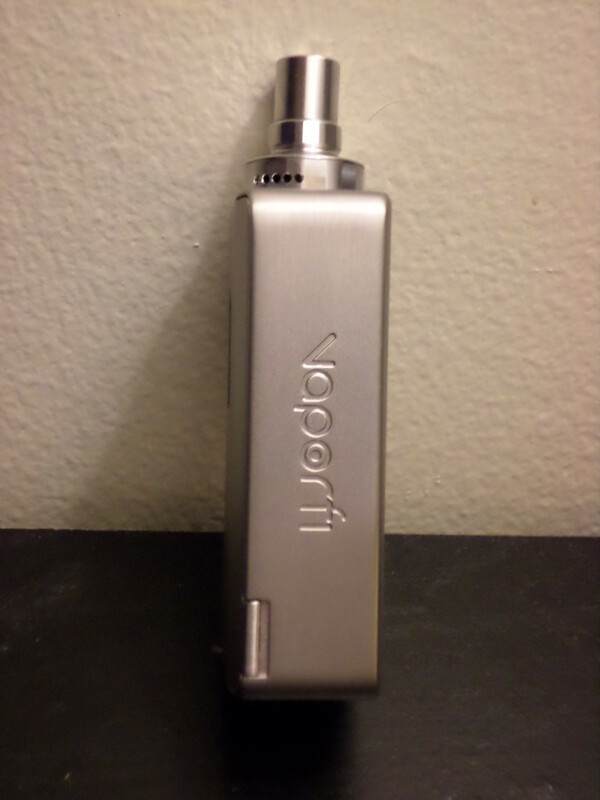 The wait ended last week and what follows is my full review of the VaporFi VAIO. As with all goods from VaporFi, the packaging is completely on point. The package itself is green and white; the goods inside are housed in individual compartments, so as to ensure safe transit. The whole thing screams premium. 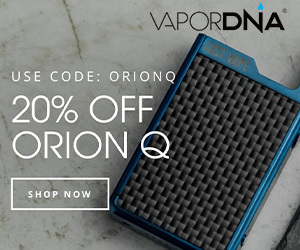 I love the way VaporFi brand-up their products. Inside we see the VaporFi VAIO in all its splendour. Take it out, connect the tank and fill it with E-Juice and you’re good to go. The set-up really is that straight-forward. 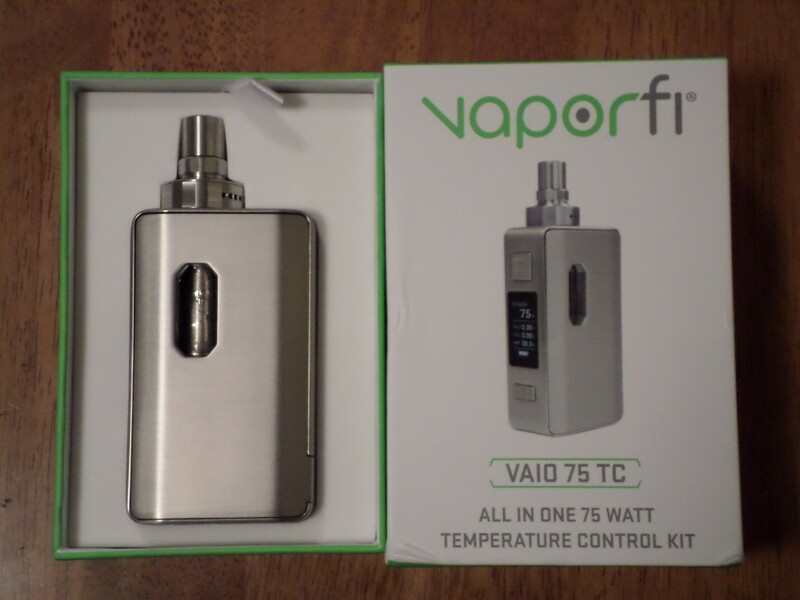 The VaporFi VAIO is a stunning device to behold; it just looks brilliant and a lot of why is to do with its stainless steel build materials and its expertly machined profile. 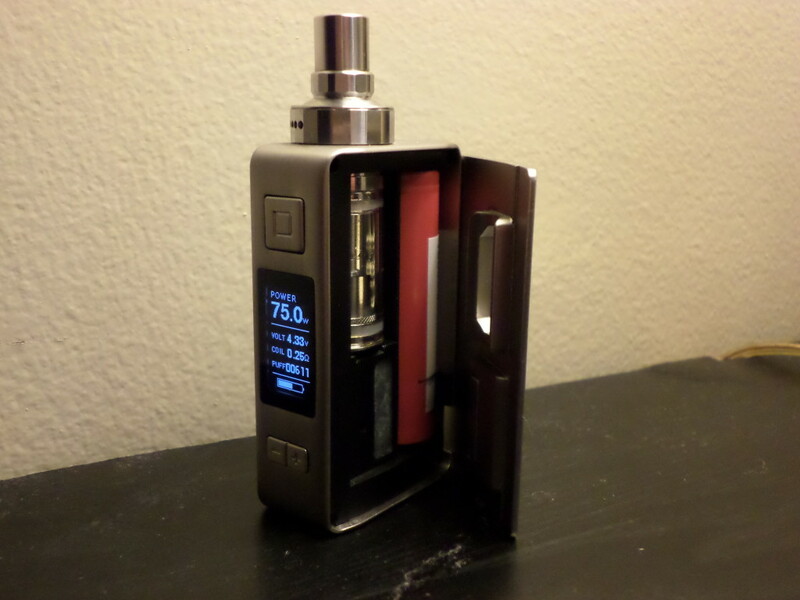 It also features a removable battery, which is a huge plus for me and something VaporFi has avoided on its last few flagship mods. 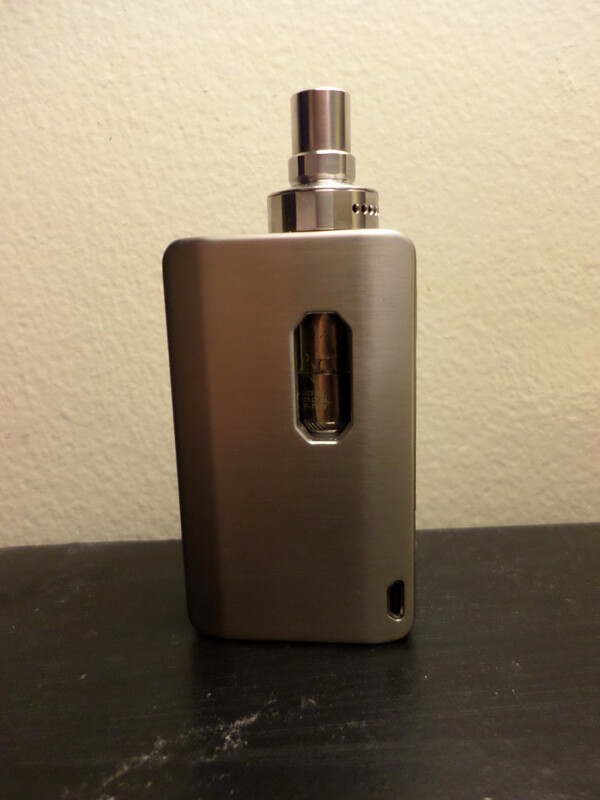 Then you have its built-in 3.5mL tank that can supply a good solid 8 hours of vaping. A strong magnet holds the battery door in place, which is easily removed. The entire package is very impressive and set-up is super simple; all you have to do is fill her up and you’re away. Battery venting holes are found on the bottom of the VAIO. VaporFi is etched into the VAIO on the backside, and there are two viewing windows for checking Juice levels housed on either sides of the mod. The tank also has an LED and you’re able to change the colour of it, depending on your mood, which is a completely unnecessary, but still a really nice touch. The front of the VaporFi VAIO features a welcomed 0.96” OLED Display that’s very similar to the eVic VTwo Dual. Reading information of this thing is super easy; it’s so bright and detailed. Everything just pops. I really wish all manufacturers would switch to OLED panels. The buttons on the VaporFi VAIO are clicky and solid to the touch. Up top we have the mouthpiece and airflow. 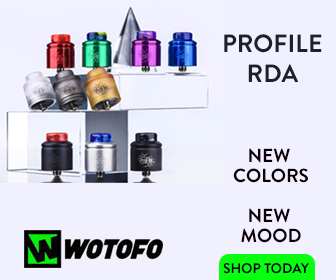 You can use the built-in tank, as VaporFi intends or you can use the tank connector to install your own, preferred setup which, again, is a very nice touch as a lot of these all-in-one units don’t support third party tanks. Another plus for VaporFi. Everything is perfectly engineered on the VaporFi VAIO; nothing has been left to chance. All the pieces fit together seamlessly, though I wouldn’t expect anything less from a company with the pedigree of VaporFi. Out of the box, 0.25ohm Notch Coil installed, juiced up, and a fresh 18650 installed I was ready to vape. Starting off at the lowest setting for the .25ohm Notch Coil (30-70W) I was not expecting much at 30W. What I was presented with, however, was a flavourful vape and pretty decent clouds. Bumping up to 35W yielded more flavour and even better clouds which was expected. 45W and I was in heaven, a very excellent vape. The flavour was outstanding and the clouds were rivalling the Herakles Plus. But, i wanted to push the VAIO so I went to 55W and was rewarded with bigger clouds and more flavour. Time to max this coil out, 70W and the .25ohm Notch Coil performed flawlessly, as did the VAIO! Now, I wanted to max the whole setup out so I cranked the VaporFi VAIO to the max 75W and the .25ohm Notch Coil handled it like a dream. 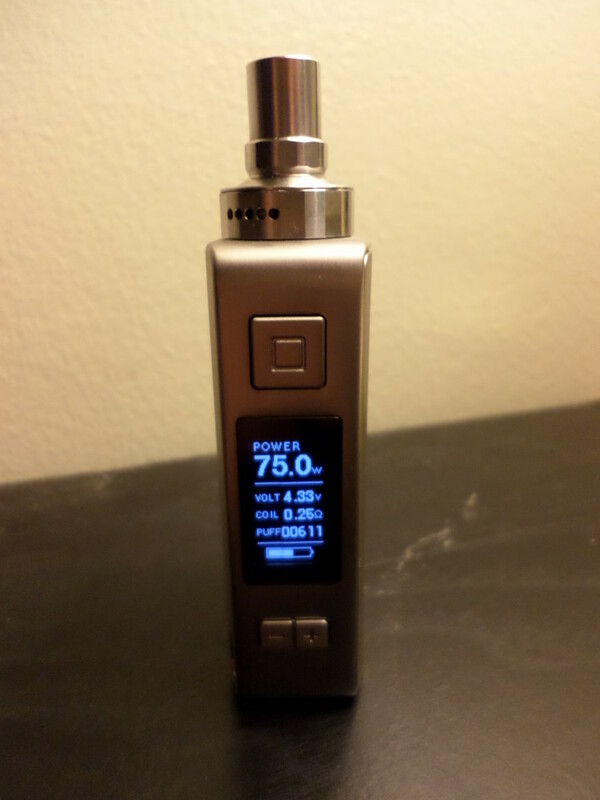 I did notice dryness at 75W when chain vaping but nothing too bad. Back down to the 45W sweet spot I went and carried that out on a newly charged 18650 so that I could see how the battery would fare. 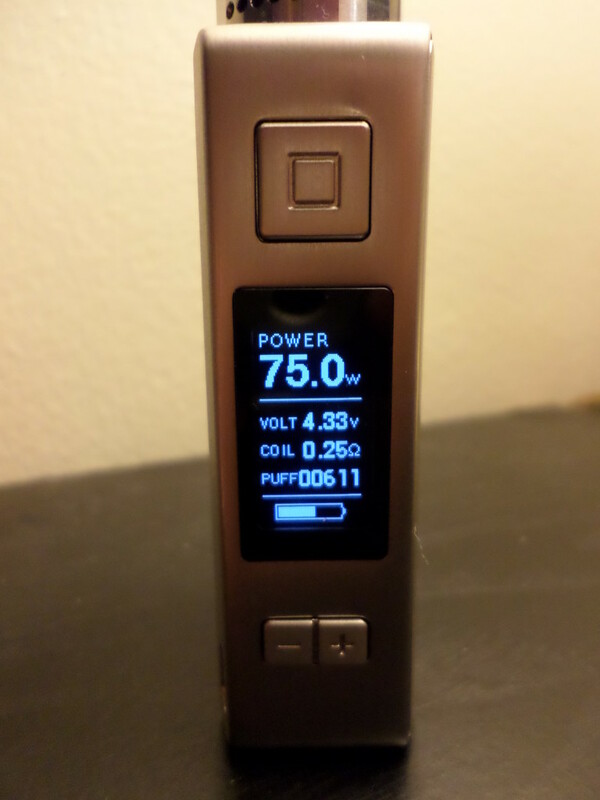 I got a solid 8 hours of vaping at 45W with moderate vaping, not bad at all. Moving on to the next coil we have the SS316 0.5ohm coil (15-30W), a low end wattage coil. Starting off at 15W, I was pleasantly surprised, good flavour and decent clouds, perfect for the stealth vape. 20W gave better flavour with better clouds and 30W gave the best performance overall. Dropping in a freshly charged 18650 cell and running at 25W with the .5ohm coil got me a solid day’s worth of moderate vaping, making this a great battery saving coil. The VaporFi VAIO 75 TC did get warm but nothing to bat an eye at. The VaporFi VAIO 75 TC is a little on the heavy side too, on account of its bulky, premium build materials, but it’s not terribly heavy, nothing that should put you off, anyway. As mentioned earlier, you do have a tank connector that allows you to run your favourite tank or RDA. And I’m happy to report that the tank connector works great and it is really very cool that VaporFi thought to include this component as it makes the VaporFi VAIO a hell of a lot more versatile. I was really surprised with the VaporFi VAIO’s overall performance. 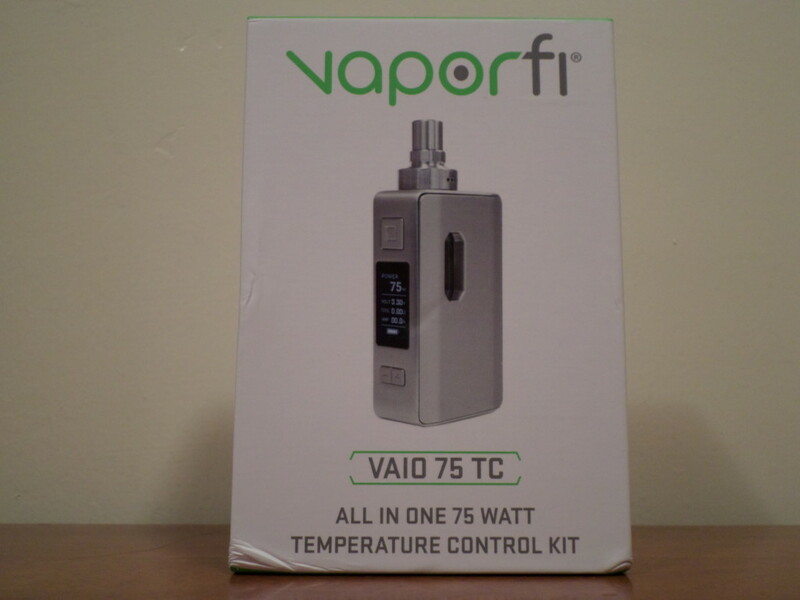 From flavour to clouds the VaporFi VAIO 75 TC is a big hitter pretty much across the board. I was very pleased with the coils performance as well; both are excellent, functional units. The overall look and feel are great. The VAIO fits into the pocket with ease and feels nice in the hand as well. For the look I give a 9.5/10, for the flavour a solid 9.5/10, and for the clouds a solid 8.5/10. Overall rating is 9/10, making this one of the hottest devices we’ve tested in 2016.